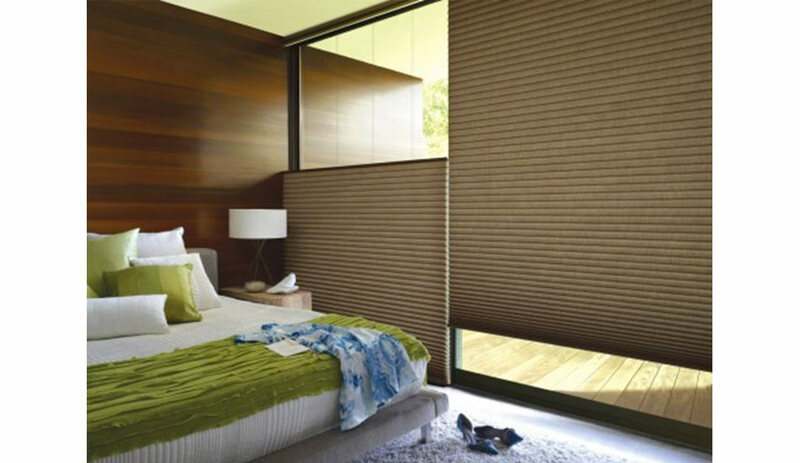 Cellular Shades with room darkening fabric are great for bedrooms! 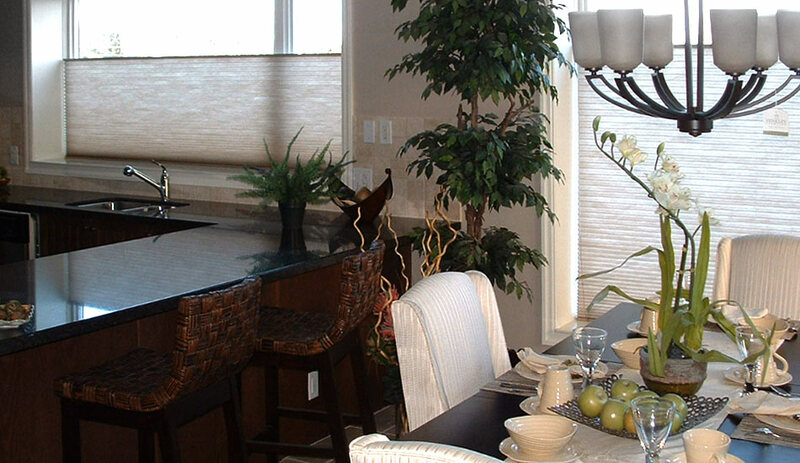 Cellular shades will offer a crisp, clean style to your home decor. The unique honeycomb construction traps the air to help insulate your home, keeping it warmer in the winter and cooler in the summer. This shade is one of the most effective coverings for energy efficiency. 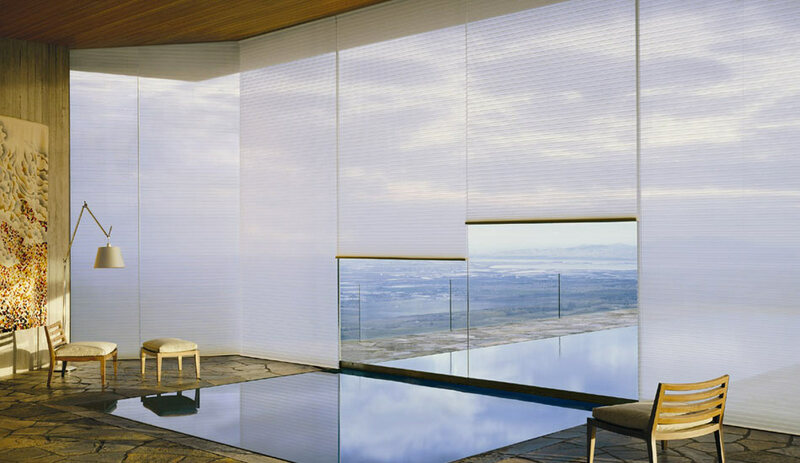 Hunter Douglas’ Honeycomb shade is leading the industry with its state-of-the-art construction. With over 400 colour and fabric combinations you’re sure to find something that will suit your style. 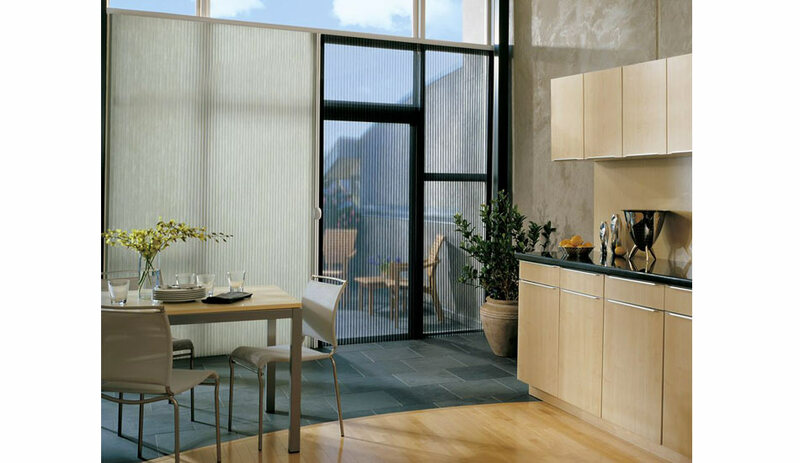 They are available in fabrics including blackout, semi-opaque and sheer. 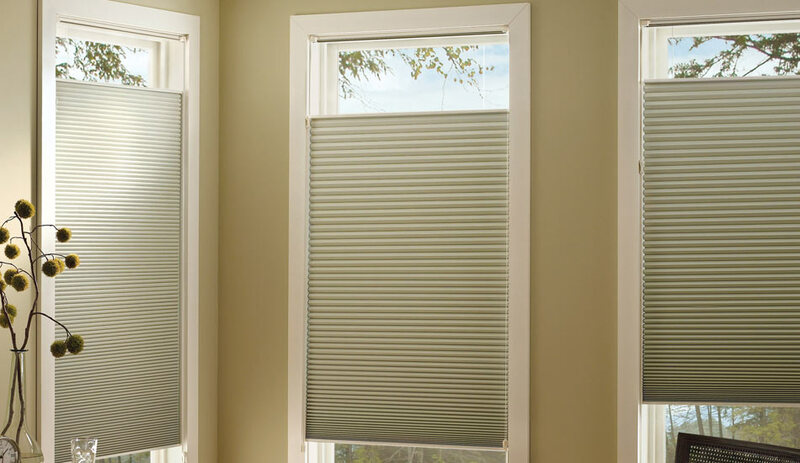 In varying pleat sizes they will suit any size or shape of window. Hunter Douglas has made 2 different levels of their honeycomb shades so that there will always be something to fit your budget. The Top Down Bottom Up feature is a great choice if you need privacy but would still like to have a view of the outdoors. The Duette collection differs from the Applause because of its larger range of fabrics, pleat sizes, and honeycomb construction. They are also available with a honeycomb inside a honeycomb construction which is called “Architella” this offers a great solution for you if you are looking for a blind with a great R value. Available with many different lifting systems, this collection is a little more budget friendly and is still available in a wide range of colours and fabrics, though not as many as the Duette. Still offering good insulation features the Applause Honeycomb Shade is a nice option for either black out or semi opaque treatments. 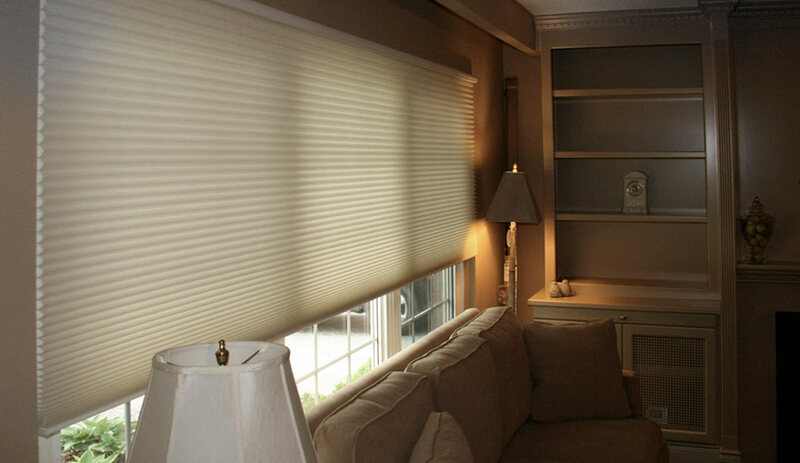 Both the Applause & Duette Honeycomb Shades are available with motorization options, from battery operation to hardwire motorization these blinds can be as versatile as you need them to be. 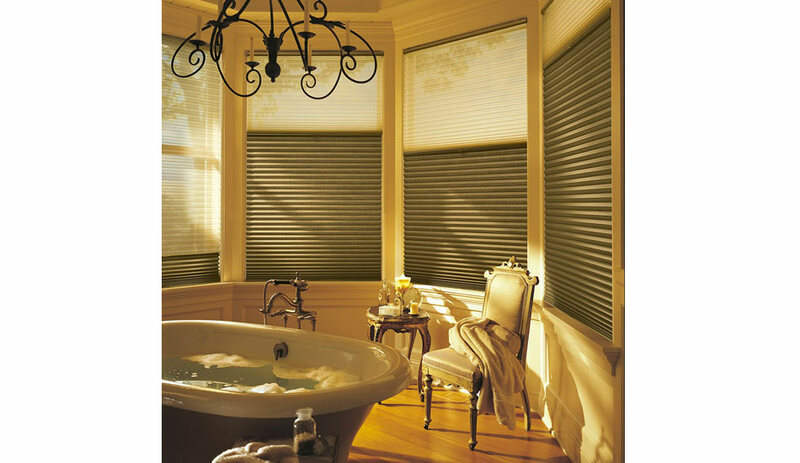 Enjoy both of these blinds in a vertical application which is great for patio doors, large windows and room dividers. This unique coordinating system is called the Vertiglide. Stop into our showroom to see the Vertiglide on display, it is beautiful!